He asked me how my book was doing, wondering if I was going to write another one. I shared that I’d just found out about “Holy Hustle” going into it’s 4th printing, and he immediately asked for numbers. Of course I had. And as he went on…and on and on…about her wonderful qualities I wondered why I – the person who was standing right there with a story of my own to share – was less interesting to engage with than a “celebrity” he would never meet. The comparisons began to run through my mind. My one book versus her 6. My sales versus her sales. My speaking abilities versus her phenomenal experiences. My invisibility verses her publicity. The list could go on. And maybe it was running through my mind when I stood on stage and could feel the nerves and uncertainty in my quaking voice. 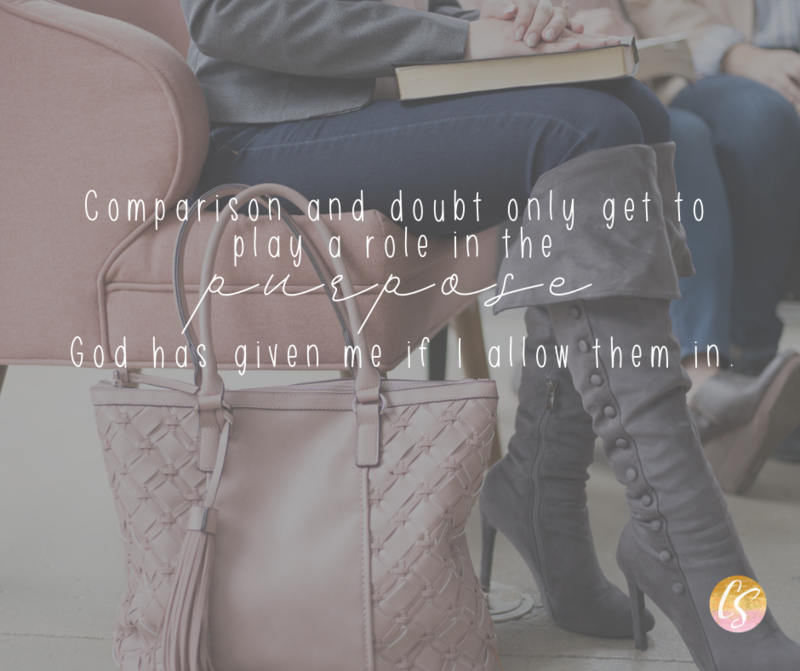 But comparison and doubt only get to play a role in the purpose God has given me if I allow them in. Your work is good because God has given it to you to do, not because it measures up against what someone else is doing. Your life is enough because God has placed you right where you are on purpose, not because you have sales, things, abilities, or popularity. We can’t control how other people respond to our work or our success – but we can make sure we focus on the people in front of us, celebrating their achievements instead of comparing them to someone else, even with the best intentions. Yes, that big name, famous, fabulous woman with all the achievements? I know her. But I also know what God is doing in my life, through my work, and that’s pretty amazing, too.